Film Plot: A secret military project endangers Neo-Tokyo when it turns a biker gang member into a rampaging psionic psychopath that only two kids and a group of psionics can stop. Akira is quite possibly the most influential manga/graphic novel, and later anime film, of all time! 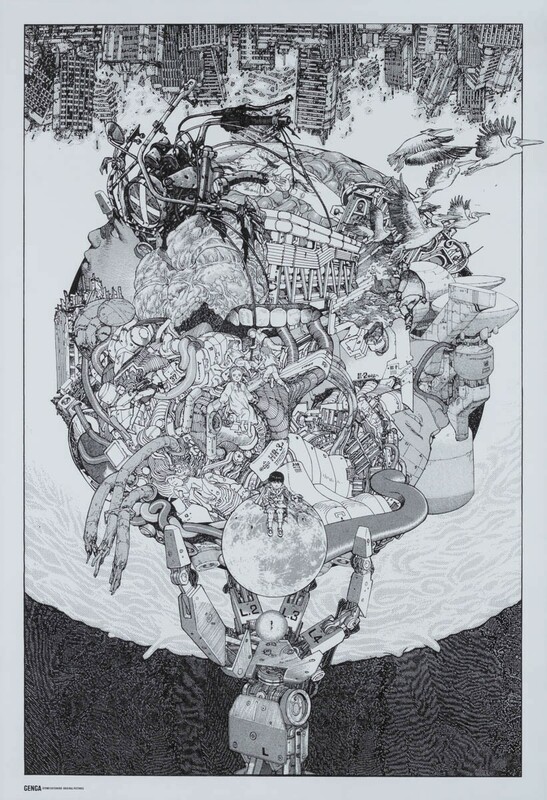 The brain child of visionary artist Katsuhiro Otomo, Akira envisions the Tokyo of 2019 as a post-WWIII, dystopian landscape variously populated by roving biker gangs, psychics, multinational megacorporations, and a secretive government. Akira raised the bar for all anime produced since! The Akira manga was originally serialized and published in Young Magazine between 1982 and 1990 — the works were collected into six volumes by its publisher Kodesha. The film version was released before the final manga volumes were published, but that didn’t stop it from receiving wide acclaim and international recognition for both graphic novels and anime films. Not surprisingly, the eclectic mix of Japanese promotional materials are the most sought after by die-hard Akira collectors. 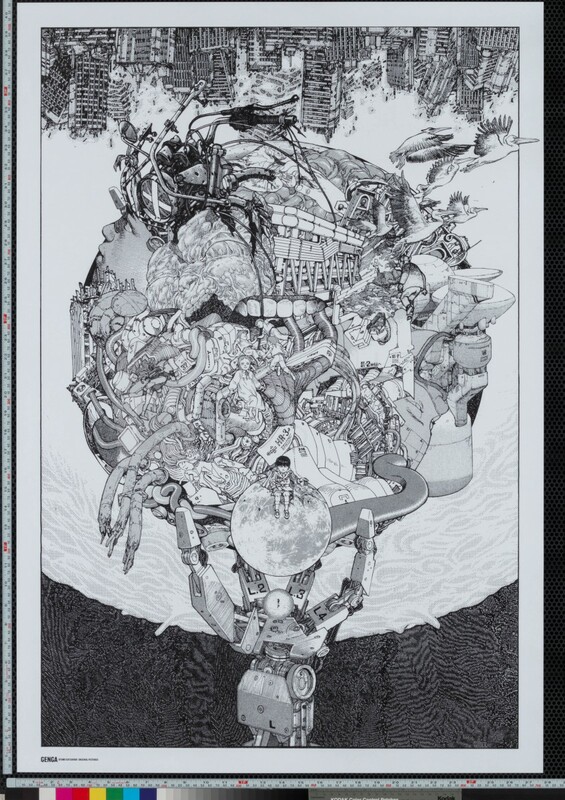 This detail on this black & white art print for the 2012 Otomo exhibition is absolutely stunning!